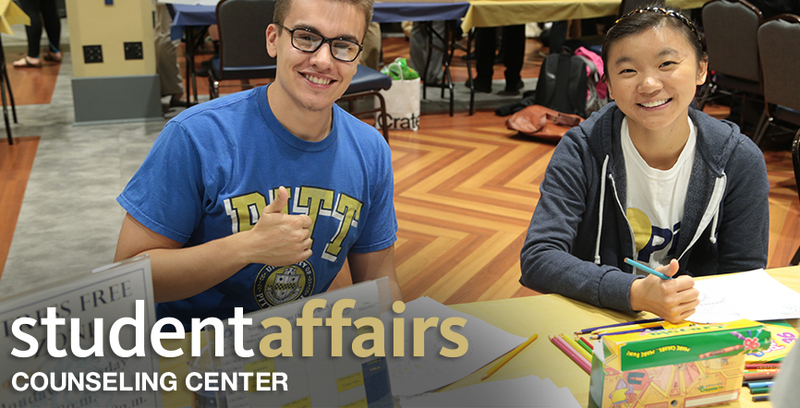 We at the University Counseling Center (UCC) understand the critical importance of our services in supporting the functioning of students at Pitt. We are making every effort to be available to all students when they need our help. We will continue to make needed adjustments to meet the challenges related to significant increase in demand for our services. This FAQ summarizes the current state of our services (as of November 3, 2016) and our efforts to serve the needs of Pitt students. HOW DO I GET HELP AT THE COUNSELING CENTER? Simply call 412-648-7930, or walk into the Wellness Center, located on the second floor of Nordenberg Hall, during regular business hours Monday through Friday, 8:30 a.m. to 5 p.m. You will be able to speak with the clinician the same day, almost always within an hour, and oftentimes immediately. The clinician will complete a brief screening either by telephone or in person (your choice). The purpose of this initial interaction is to assess your current concerns, identify your needs, and determine the most of appropriate treatment options and providers. Engagement in one or more of our services at the UCC, including consultation, emergency intervention, group counseling, individual counseling, couples counseling, participation in workshops, or psychiatric An intake appointment precedes individual or group counseling. No intake appointment is needed for consultation, emergency intervention, or workshops. Transfer to emergency/urgent care services in the community, such as WPIC or Re:solve. Connection to specialty or longer-term mental health services located off campus nearby in the community. WHAT IF I AM IN CRISIS OR EXPERIENCING AN EMERGENCY SITUATION? If there is an emergency situation where safety is endangered, there is an imminent risk of harm, and immediate help is required, call 911 or the Pitt Police at 412-624-2121. If you are experiencing a crisis but there is no imminent risk of harm, you may walk in directly to the Counseling Center and indicate to the person at the front desk that you need to speak with someone immediately, or you need an emergency appointment. They will schedule you with an immediate emergency appointment. HOW DO I GET HELP WHEN THE COUNSELING CENTER IS CLOSED? Call the counseling center main telephone number (412-648-7930). You will listen to a recorded message which states “if you need to speak with someone immediately, press one.” Press one and your call will be transferred to a crisis response service called ProtoCall, who is contracted with the University to provide after-hours crisis response. If you are in immediate danger, call the Pitt Police at 412-624-2121. HOW DO I ACCESS GROUP COUNSELING OR WORKSHOPS? Go to our Web site and click on the “sign up for groups” link. The various group counseling offerings are listed and described, and an opportunity is available to check whatever group you have a interest in joining. Just click “send” and a clinician will contact you about follow-up steps to begin group counseling. Because research demonstrates that group counseling is one of the most beneficial and impactful interventions available to college students, we are increasingly emphasizing the importance of group counseling as one of the most powerfully effective supports for students, and we continue to expand our groups program. An unlimited number of weekly group counseling sessions are available to all students. Generally, group counseling is a service which is available to students very quickly, because many groups are available, and membership capacity is flexible. We encourage students to consider group counseling as a first option. We offer a variety of workshops on topics such as anxiety management, which students have found to be very beneficial. WHAT CHANGES RECENTLY HAVE BEEN MADE? Changes have been made to counseling center services recently in order to increase timely access to services, to make services available to more students, and to make sure that students receive the type of care that their needs require. DO STUDENTS HAVE MORE TIMELY ACCESS TO SERVICES? 100% of students seeking help have had initial contact with a clinician the same day this semester. Wait times can vary considerably, depending on type of service selected, time of year, demand for services, staffing level, and student preferences. At the beginning of the semester, students generally get in rather quickly for follow-up appointments. In September, average wait time for a follow-up appointment was four business days. This generally increases in October and November. Depending upon demand and student preferences for particular counselors or time slots, follow-up appointments can take up to several weeks. It should be noted that groups are usually available immediately. Peak volume of requests for our services is double this fall compared to last fall. Volume of demand is definitely correlated with wait times. During the past several months, we have hired six counselors, and plan to hire four more in the near future to meet the increased demand. We expect that when we have completed our staff expansion, wait times will be reduced. It should be noted that wait times for the first counseling appointment are less than half of what they were a year ago. HOW IS THE UCC EXPANDING CAPACITY? During the past several months, we’ve hired six counselors, and we are in the process of hiring an additional four clinicians. We are developing a satellite clinic for the University Counseling Center a few blocks away in the Medical Arts Building on Fifth Ave. This site will house several clinicians. Anticipated opening of this additional clinic site is the beginning of the Spring semester. Based on research and best practices, the frequency of counseling sessions has transitioned from biweekly sessions to weekly sessions, to increase the benefits of counseling. A scope of practice policy was posted on the UCC Web site that clarifies which services are offered by the University Counseling Center, and which services are not offered (http://www.studentaffairs.pitt.edu/cc/about/). This document explains not only what services we offer and do not offer, but also explains the rationale for these choices. Case management services were doubled (two full-time staff) to help students find community providers, when appropriate, to meet the students’ Case managers sit down with students and help select the best provider from our database based on specialty area, insurance, and other desired features. Case managers will assist a student in procuring an appointment by calling providers with the student.